Shur-Trip carrying cages are the perfect complement to your traps. 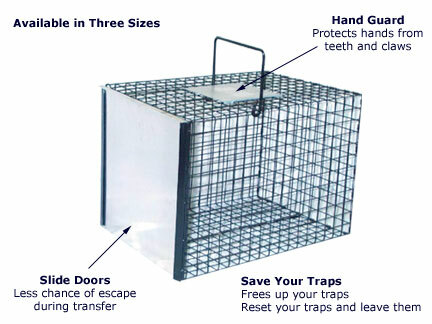 Built with the same quality and ease of use as Shur-Trip traps, these cages enable you to leave the traps in place while you carry away your trapped animals. Sliding doors and a metal hand guard make transporting varmints easy, safe, and quick!